Dog lovers rejoice, at long last here is a film about "man's best friend" that isn't the cinematic equivalent of syrupy ice cream sundae with plenty of sugar on top. 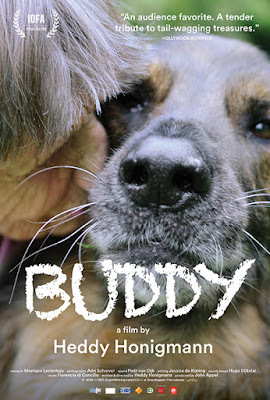 Animals in film have become a sort of tool for easily manipulation and a shortcut to the tissue box, but Heddy Honigmann's documentary, Buddy, is none of those things, deftly avoiding overt sentimentalism in favor of a more direct exploration of the unique relationships humans have with our canine companions. The dogs in question are service animals - each one devoted to its owner in its own way, and their owners depend on their faithful presence in every aspect of their lives. Whether their owners are blind, unable to walk, suffering from PTSD or severe autism, the dogs form unique bonds with their humans that goes far beyond typical human/pet relationships. Much like last year's Kedi was for cat-lovers, Buddy will doubtlessly be beloved by dog-lovers everywhere. But it isn't as much about the dogs as it is about the people. Buddy is a disarmingly human story, as each human discovers something about themselves through their relationship with their dog. Honigmann patiently listens as her subjects recount tales of animals past, each one a singular presence in their life, bringing something new to the table before passing away and making way for a new service animal to come stand by their side. While some are just starting out with their first dog, some older subjects have had far more, and they wistfully reminisce about the cycle of life that has lead them to this moment. Buddy is an uncommonly patient and observant film, teasing out deep and often profound truths as it examines the lives of its subjects and their relationships with the animals they love. Is it possible for a human to have an actual relationship with an animal? Can dogs truly feel love as we know it? Honigmann asks a lot of questions over the film's brief 86 minute runtime, but she leaves us with a kind of mysterious beauty. There is something very special about each and every one of these animals, something that can't quite be put into words. Yes, dog lovers, be prepared to shed a tear or two. But fear not, they won't necessarily be tears of sadness. 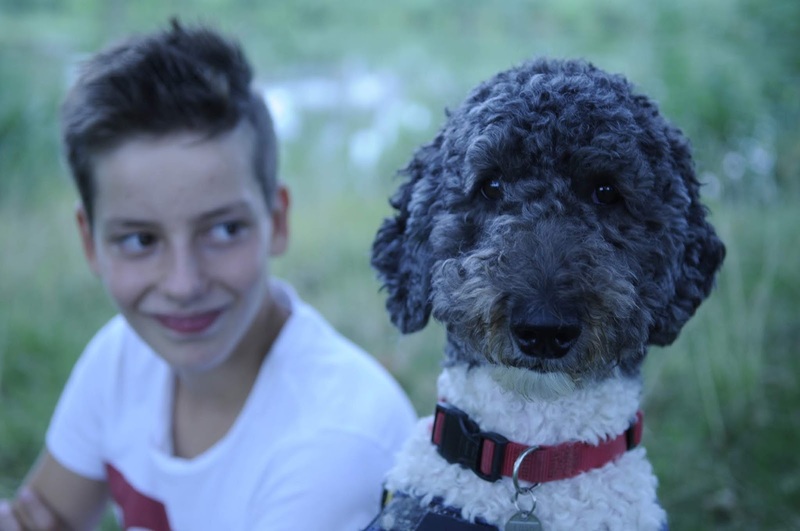 This isn't your typical "child and their dog" story, it's something much deeper than that. It's a layered, joyous, and yet melancholic meditation on the nature of life, mortality, and companionship, and the results are something uncommonly beautiful. BUDDY | Directed by Heddy Honigmann | Not Rated | In Dutch with English subtitles | Now playing in select theaters.